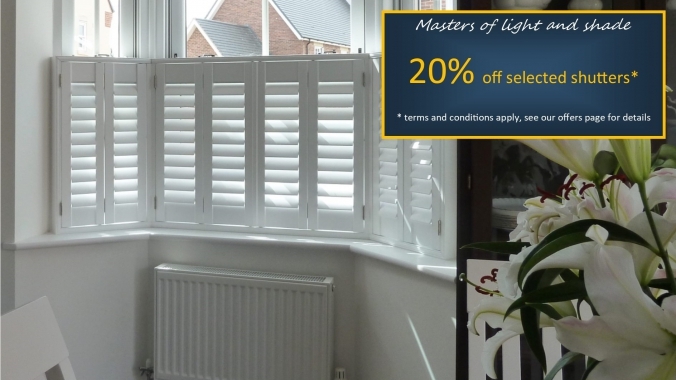 Infinity shutters are made with real hardwood shutter panels and have an MDF frame* Priced from £420 and with 20% of are now £336 per square meter. 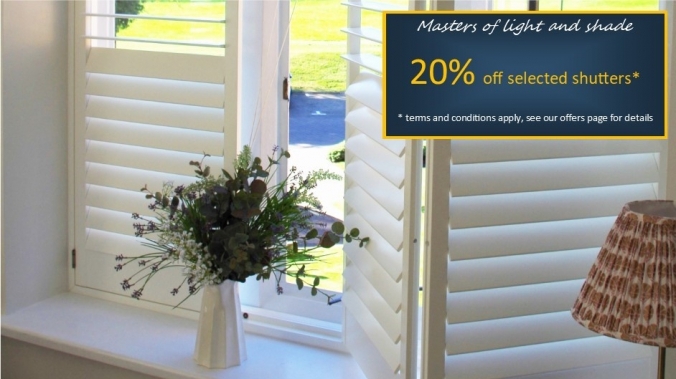 To take advantage of these promotions please fill the contact form with your details and pop the approximate sizes of the windows you would like to have shutters fitted so that when we phone you we can also give you a price guide. Prices include VAT and fitting. There is a minimun order value of £600 after all discounts. Options like a hidden geared tilt mechanism, bays or tier on tier have extra costs. 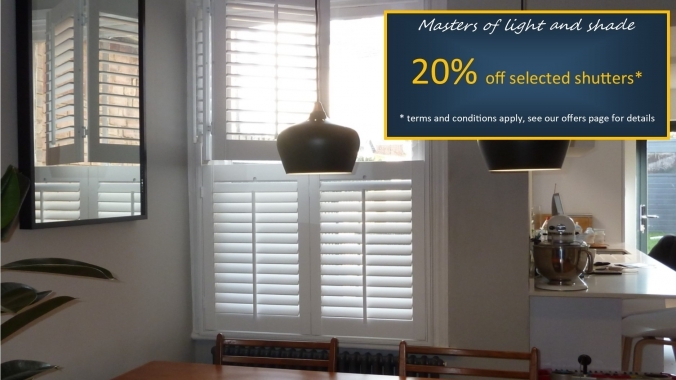 *MDF frames are not suitable for areas or windows that have condensation, steam or water for example: in a bathroom or single glazed sash window. We offer other choices which may be more suitable, please ask. 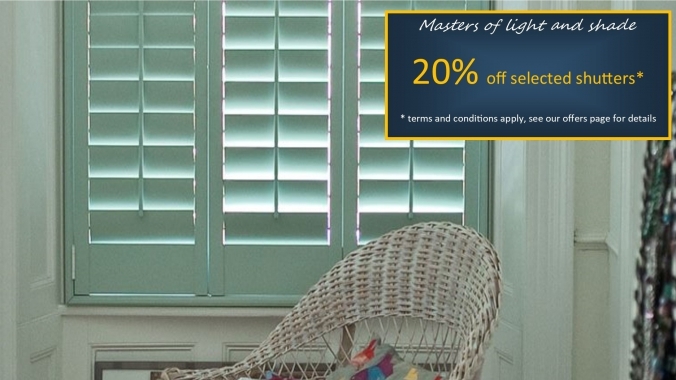 Special shapes and bespoke paint choices are included but have significant extra costs over rectangular shutters. Our lead times are approximately 8 - 12 weeks from an order to installation depending upon your choice of material. We design, supply and install with loving care and attention to detail so that our quality and service shine through. The new GDPR regulations came into force on the 25th May 2018 so please be aware that just as before we don't send any emails to you other than to reply to you or to update you upon your order status. We never send unsolicited, junk or spam emails of any description nor do we share any data with any other person, company or organisation.